We are pleased to announce our Tower Hotel & Leisure Centre renovation project, which will completely transform our guest rooms and many of our public spaces, bringing The Tower Hotel & Leisure Centre Waterford to a state of modern elegance and luxury. To facilitate this work the hotel will close until February 8th 2019. We are excited about our new facilities and we are sure that it will make your future stays with us even more enjoyable! In the meantime we sincerely appreciate your understanding while we make these great enhancements to the Tower Hotel. 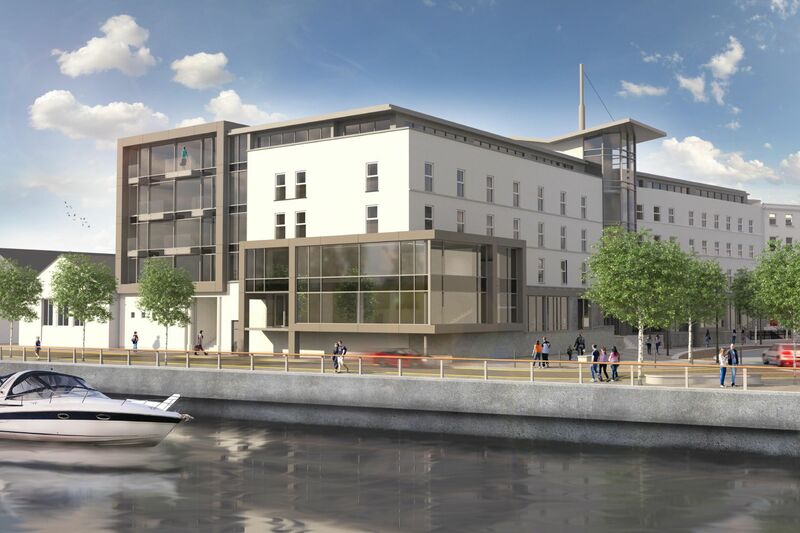 The new look of the Tower Hotel & Leisure Centre will include a new bar and bar extension towards the river Suir. You will be able to admire fantastic views of the river from the fully glazed bar exterior which will wrap around the front of the hotel. We will also incorporate a new restaurant and new rooms will be added above this extension. We are delighted to annouce that our new bar is now open. Pier 37 Bar & Grill boasts spectacular views over the Suir River. With floor to ceiling windows it is a bright and ambient space to dine whether you are staying in the hotel or just dropping in for a spot of lunch. Bar food is served all day with an extensive cocktail menu available also. We look forward to seeing you here soon. Our new restaurant is now open for breakfast, lunch and dinner. 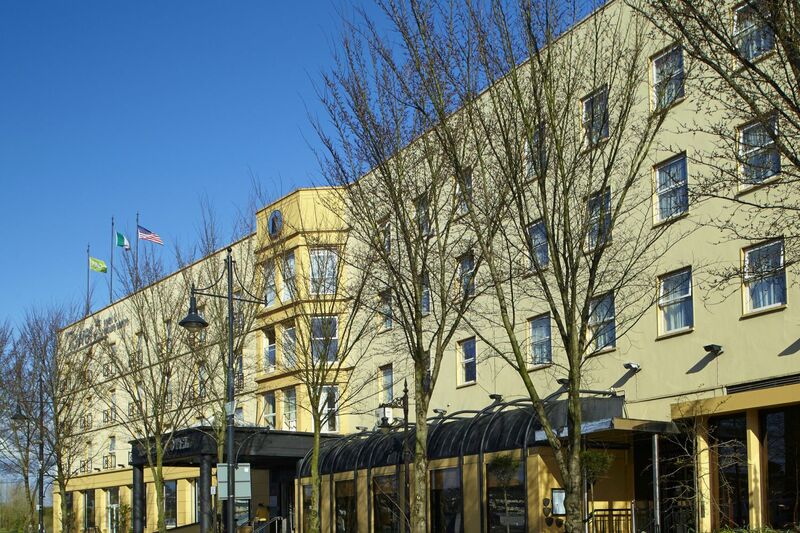 Hobson's Restaurant is situated on our first floor with panoramic views of the City and the River Suir. Similar to our new bar, the restaurant features floor to ceiling windows and is a stunning, bright and airy space to dine. The restaurant offers a superb Early Bird Menu and A La Carte Menu. We will have a new state of the art kitchen to service the new restaurant and bar. It is envisaged that all of the above renovation works will take approximately six months to complete. Renovations will also take place in early 2020. 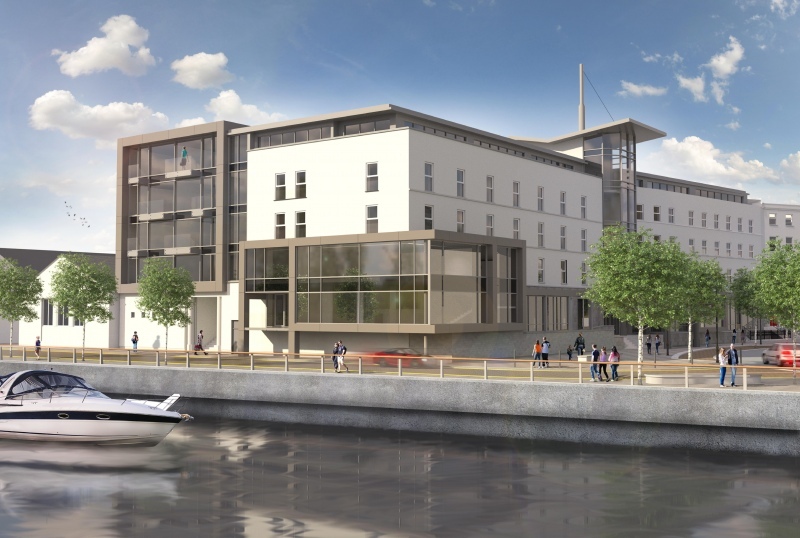 A new conference wing and further accommodation will be then added which will further enhance The Tower Hotel & Leisure Centre in Waterford and its facilities. Our existing bedrooms are undergoing a makeover too! 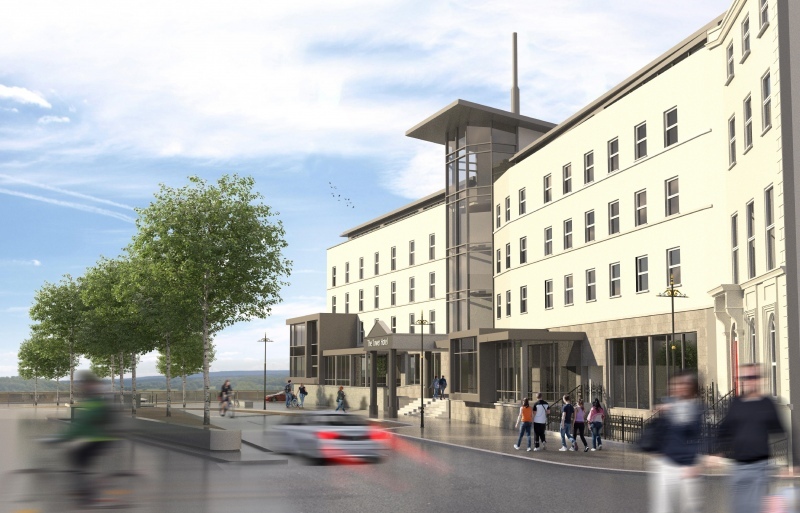 Wondering what the new and improved Tower Hotel & Leisure Centre in Waterford will look like? Then have a look at the pictures above to get a better idea of what our hotel will look like after the renovation project is fully completed. We envision that our renovation projct will be fully completed by the end of 2020. We will continue to update you on our renovation progress over the coming months so be sure to follow us on our Facebook page and Twitter page to stay updated!